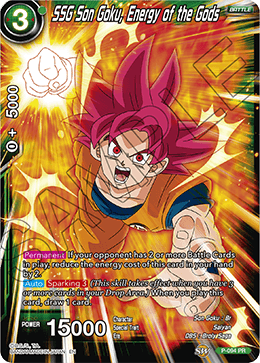 If your opponent has 2 or more Battle Cards in play, reduce the energy cost of this card in your hand by 2. (This skill takes effect when you have 3 or more cards in your Drop Area.) When you play this card, draw 1 card.